Yesterday at the Yorkshire Pudding Rally, NABD Chairman Rick Hulse drew out the winning ticket for the Daft Way Up C90 raffle to win Manny’s bike. 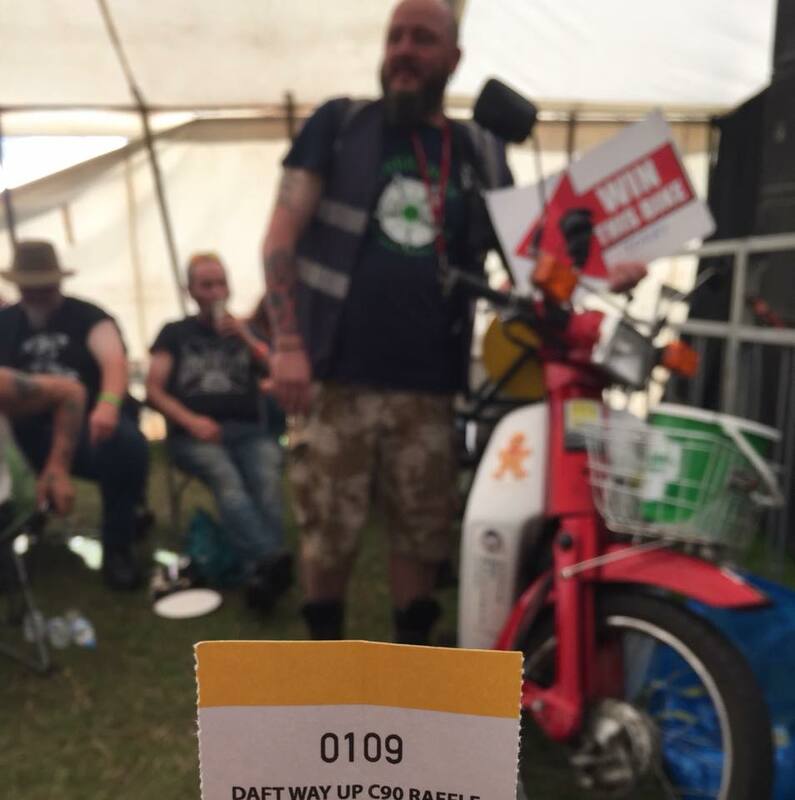 The lucky winner is number 109, Lorna from Brighouse. 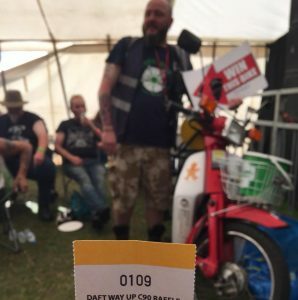 Thanks to all who supported the Daft Way Up for the past few months. 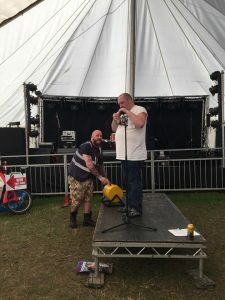 We’ll release the final total raised at the MAG AGC, but suffice to say both MAG and Macmillan cancer care will both be getting sizeable donations.